Malicious root-kits modify the in-memory state of programs executing on an endpoint to hide themselves from security software. Such attacks negatively affect network-based security frameworks that depend on the trustworthiness of endpoint software. In network access control frameworks this issue is called the lying-endpoint problem, where a compromised endpoint spoofs software integrity reports to render the framework untrustworthy. We present a novel architecture called Virtualization-enabled Integrity Services (VIS) to protect the run-time integrity of network-access software in an untrusted environment. 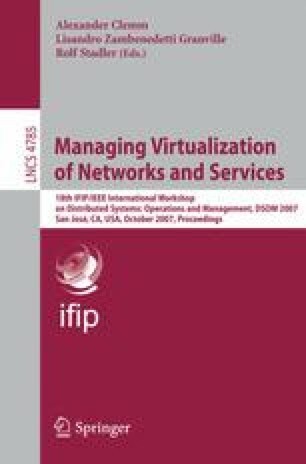 We describe the design of a VIS-protected network access stack, and characterize its performance. We show that a network access stack running on an existing operating system can be protected using VIS with less than 5% overhead, even when each network packet causes protection enforcement.